A few weeks ago the New York Times published an article claiming that exercise could protect the brain against a diet high in fatty foods. When I read the headlines the first thing I thought was “what fat did they use for this study?” After all omega 3 fatty acids are good for your brain. I highly recommend you supplement your intake of omega 3 with fish oil. Not only is omega 3 good but many other fats are healthy too including fat from avocados, macadamia nuts and grass fed animals. In the article the studies showed that the mice who ate a high fat diet suffered a mental decline, specifically performing worse on a memory test. 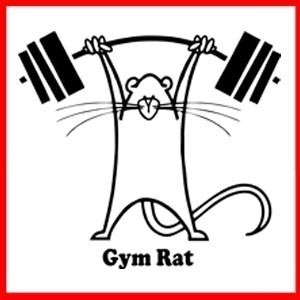 After demonstrating that the high fat diet lead to lower test scores on a memory test compared to a control group with a low fat diet, they gave half of the rats on the high fat diet a running wheel. 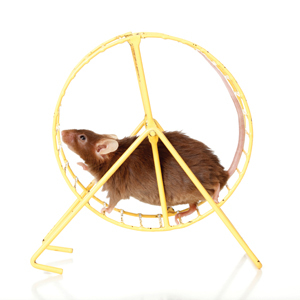 The rats on the high fat diet without a wheel continued to decline in mental ability while the rats with the wheel and high fat diet saw an increase in mental ability. I did a little fact checking and I found that the fats used to feed the rats in this study came from soy and vegetable oils. Those oils are notoriously high in omega 6 fatty acids. A diet high in omega 6 leads to high inflammation. This means that it was not the fat in the diet that was causing the mental decline but the omega 6 and inflammation that were causing the problems. Although I think that this study was done very poorly if the scientist really believed that a high fat diet leads to mental decline. If that is the case they should have tested several different diets that are high in fat, with at least one of them being an omega 3 rich diet. Although the study was done poorly, we can still learn from it. The first thing we can learn from this is that a diet high in omega 6 causes mental decline, probably due to increase inflammation. The second thing we learn is that exercise can protect against mental decline caused by inflammation. This is just further proof that following the paleo diet and getting good exercise is critical for remaining healthy.